This is also one of the most important foods to buy organic. There are a lot of pesticides in domestic rice, so if you can, you should buy organic rice and use an airtight container to store it. We are talking about our most precious gift – our children. 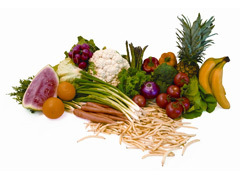 Young babies especially are very susceptible to pesticides, so the food you give to your baby should be organic only. The best brands of organic baby food are Tender Harvest, Earth’s Best, and Healthy Times. Even better, you could make your own baby food by making a puree from organic produce. It’s cheaper and healthier! 2. 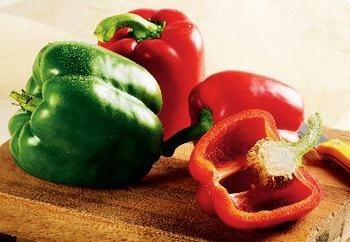 Red and Green Bell Peppers. These are on our list of the most important organic foods, because they are great Vitamin C sources. However, if grown conventionally, they are drenched in pesticides, so you are getting more harm than good if they are not organic. If not organic, bananas are subject to a lot of chemical dousing. This is because this tropical fruit has to travel a long way to get to your closest supermarket, and its window of ripeness is very short. Cherries are so delicious and good for so many dishes, but unfortunately full of pesticides. So, they are definitely one of the most important foods to buy organic.